LSL Acadata:0% MoM, after 11 months of falls. Housing market's bottomed for now according to the data.Looks like they'll be kicking out some of the negative months soon. 0% MoM after 11 months of falls. A number of London boroughs are recording big falls over the 12 months to April 2018. They include the City of London (down 24.9%, albeit on a small number of sales), Southwark, down 19.1% (largely as a result of high value properties sold the year before); and Wandsworth, down 13.1%. Growth has been more modest, with only Kensington and Chelsea, the most expensive borough, recording double-digit growth, up 10.4% to £2.17 million. The next highest increase over the year was Lambeth, where prices increased 5.8%. Overall, 24 London boroughs have seen prices fall over the year, and just nine have seen them rise: four in the top third of the market; four in the bottom third; and just one in the mid-priced boroughs. There is nothing in the wider market context to support the case for a major change of direction in terms of house price trends. Housing market's bottomed for now according﻿ to the data.Looks like they'll be kicking out some of the negative months soon. A numbe﻿r of London boroughs are recording big falls over the 12﻿ months to April 20﻿18﻿. They include the City of London (down 24.9%, albeit on a small number of sales), Southwar﻿k, down 19.1% (largely as a result of high value properties sold the year before); and Wandsworth, down 13.1%. Growth has been more modest, with only Kensington and Chelsea, the most expensive borough, recording double-digit growth, up 10.4% to £2.17 million. The next highest increase over the year was Lambeth, where prices increased 5.8%. Overall, 24 London boroughs have seen prices fall over the year, and just nine have seen them rise: four in the top third of the market; four in the bottom third; and just one in the mid-priced boroughs. That trend being down I assume. Those are big numbers for London, but even a 10/20/30% drop is meaningless when the prices need to come down 60% just to be unaffordable. I agree Count London has a long way to fall to find a bottom. The trend in London will spread,but there's clearly a lot of faith that property will be the last pin to drop. I've sat and watched this for a decade now. 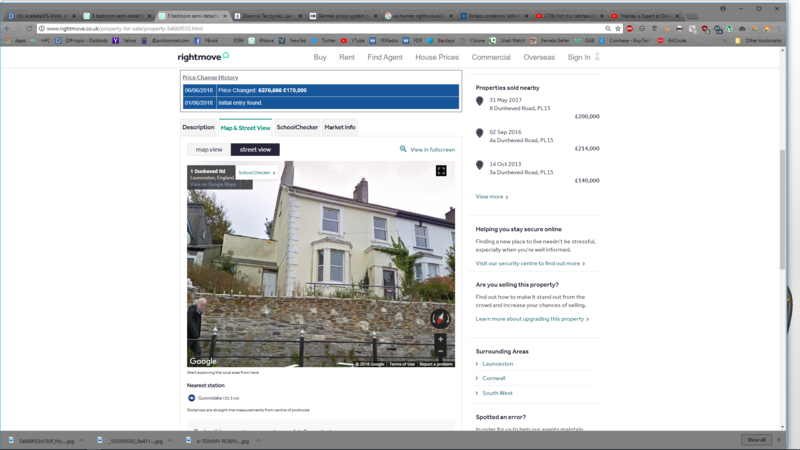 I've watched TPTB throw everything at keeping house prices up then pushing them even higher, they've done nothing to make me think they ever will. We're in the end game now though IMHO, prices are extreme, in London, out of London, oop north, in Scotland, take your pick. IMHO this lasdt 10 years has been all about the banks. Without sales volumes though the banks can't lend. The banks will demand a crash...now they are solvent. This is something Venger and I agreed on, we think the banks have been recapitalised and are now going to crash the market. It's happening globally, too much of a coincidence. These feckers run the world. So how exactly will the banks 'crash' the market and by how much. Where we are prices (actual sold prices) have risen by 40% over the last four years and are still rising so even a 30% crash would just take prices back to 2014. The crash of 2007 to 2009 saw prices in London fall by 20% maybe 30% in some areas and since 2009 prices have increased by around 80 to 100%. 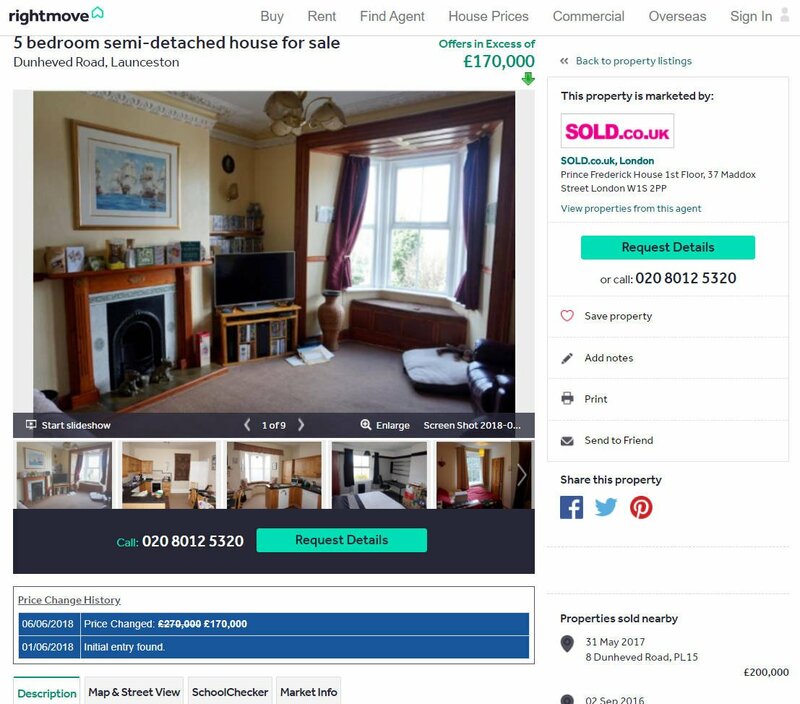 It would need prices to halve to get to anywhere near sensible (if you regard 2007 prices as sensible) and looking at some areas in London properties that sold for 100k in 1998 are now selling for 500k plus. If prices were falling by say 10% year on year for say five years then how would that benefit the banks as no one would buy as it would be cheaper next year and many would decide to post back the house keys and default.Seems to me a monumental irreversible f***up by the banks and governments who will now do all they can to keep the plates spinning with HtB schemes 107 thu 399 and beyond. And even if the property prices crash what will happen to rents which are linked to earnings ... just bigger returns for the LLs who own outright. Here I come with the obligatory reposts of Wolf St best. With regard to the US he focuses on shadow bank lenders and the rise of co buying.Sub Prime never died,it jsut morphed. Sixth largest was Bank of America. Its mortgage originations plunged 43% to 14,325 mortgages. Dollar volume plunged 37% to $5.9 billion. Seventh largest was a shadow bank, Caliber Home Loans. Its mortgage originations rose 4% to 18,629 mortgages. Dollar volume jumped 14% to $5.4 billion. 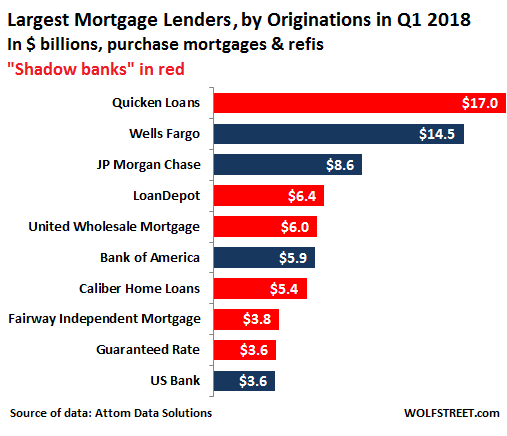 Eighth largest was also a shadow bank, Fairway Independent Mortgage. Its mortgage originations soared 28% to 14,655 mortgages. Dollar volume soared 37% to $3.8 billion. Ninth largest was – you guessed it – a shadow bank, Guaranteed Rate. Its mortgage originations rose 4% to 11,525 mortgages. Dollar volume rose 7% to $3.6 billion. Tenth largest was – surprise, surprise – a bank. US Bank’s mortgage originations plunged 24% to 10,817 mortgages. Dollar volume plunged 19% to $3.6 billion. ATTOM obtained this data from publicly recorded mortgages and deeds of trust in more than 1,700 counties accounting for more than 87% of the US population. It also pointed at the curious dynamics of co-buyers – defined as multiple, non-married buyers listed on the sales deed – in the most expensive markets. Nationwide in Q1, 17.4% of all single family homes were purchased by co-buyers, up from 16.3% a year ago, and up from 14.9% two years ago. But the national averages paper over the vast differences in individual markets. In terms of down-payments, forget 20%. The average co-buyer down-payment amounted to 15.3% of the average sales price. For all other homeowners, it amounted to 11.4%. This does not include the possibility that the down payment has been at least partially borrowed. And down-payment lending is becoming a hot business in this market. I think you've posted the wrong link to the pdf. It's thyis series.May is not on their website yet for some reason.I get it on email. That explains why it's a link to a file on your C: drive instead of a website! So how exactly will the banks 'crash' the market and by how much. .
Really that simple. How do the banks benefit from year on year falls in property prices (say 5 years) when no one wants to buy and so no one wants to borrow. Why would you borrow with rising rates against a falling asset? Would you not have a grid-locked market with sellers unable to sell without going into -ve equity and buyers still priced out by high mortgage payments. Of course there will always be some forced sales ... death divorce etc but essentally a grid-locked market with those who can buy competing for limited supply, which would help sustain prices. 37% drop in 6 days. Is there something wrong with it? No photo of the exterior is suspicious. End terrace = No 1? Seems very reasonably priced for SW. You would be paying more up here in the NW except in the very worst areas. It is. That's knob ally 'round these parts. How do the profit from a stalled market where no one can buy, same way...will always be some people who need to sell/move. To get sales volumes up prices have to collapse, quickly. You can only sustain these insane prices with incredibly low sales volumes, the banks and EAs can't survive on those sort of sale volumes. The housing pyramid has collapse written all over it. But currently transactions are about 100,000 per month and have been consistently since 2014 and since 2014 prices have increased by 40% (where we are in Greater London) and during this time interest rates have remained the same but I suspect mortgage rates have fallen a bit. I would argue 100,000 transaction per months (and there are excluded transaction in the Land registry as well of course) is not a stalled market. Back in 2003 up to 2006 there were around 120,000 transaction per month which fell by 44% in 2007 to annual total of 900,000. The various schemes (which I fundementally disagree with as property prices are insane and have been for years) have done what the governement set out to do which is keep the transaction levels (and stamp duty income) at 'normal' levels. There's me thinking sales have gone throw the floor in the last 3-6 months. Look at it this way, if a banker inflates the price of a sheep x 2, x3, x4, if he sells his sheep he still only can buy 1 sheep. If he collapses the price of a sheep, he can by x2, x3, x4. Have you not worked out what is going on yet ? It's the biggest wealth grab in history, but you need the crash to grab the wealth. I thought working people bought houses not banks, sure the people borrow money from the banks but the property is owned by the borrowers. If a house is sold for 500k with a mortgage of 400k and 100k deposit equity and prices collaspe by 50% and the house is re-possessed; the person still owes 400k to the bank the bank have a house they can sell for 250k. Unless the bank is going to buy 2 houses at 250k ... but banks do not buy houses unless you think the money they have lent to working man / owner is them buying the house. We're talking bankers, not banks. March 18 was only 96k (beast from the east?) every other month since Jan 2017 when rounded up to the nearest k is at least 100k. There were 1m transactions in 2013 and 1.2m every year after. 2007 bubble levels were 1.6m. So bankers from HSBC, RBS, nationwide, metro etc will decide together to raise mortgage rates to what level? Shall we assume a new mortgage svr of 8% ( and only mortgage rates as business lending needs to be sustained) where current mortgage svr are around 4% to ‘crash’ the market so they can buy houses from forced sellers at a knock-down price. During this phase transactions will plummet, no one wants to buy a falling asset, followed by price drops from forced sellers who can no longer hold on and the individual people whose work in banks (bankers) will buy them all up. Assuming a price fall 40% fall over two years how will the banks survive (not that the bankers care) with very low transaction rates ie people borrowing money with minimal new cash income as many borrowers will be on fixed rates. Would a banker buy after one year and say a 20% drop knowing the property would be another 20% cheaper next year. And the banker-buyers will need access to cheap finance or cash rather than borrow. Anyway assuming it works for them and after two years they have bought lots of property at 40% below current price then what? I assume re-inflate the property bubble to sell at the top of the next peak and reap the profit.